Hosting Thanksgiving This Year? 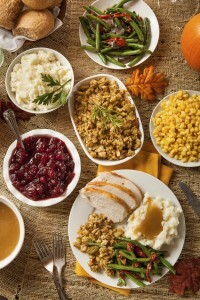 Check Out These Turkey Day Tips! Is it your turn to host the family’s annual Thanksgiving gathering this year? While the thought may seem overwhelming right now, it doesn’t have to be! In your luxury apartment, even a large family will not be pressed for space, and with a little foresight and planning, you can be sure that your holiday celebration will go off without a hitch! Read on to find out what you can do to host the perfect Thanksgiving dinner this year at Harborside Village. Thanksgiving Day centers around the main event: the dinner! There are certainly more than a few dishes to make for Turkey Day, and not all of them are simple. Do yourself a favor and cook what you can before the actual holiday. You can easily freeze casseroles and most pies, even the cranberry sauce, and heat them up again before dinner is served. They’ll taste just as fresh, and you’ll have more time to concentrate on the day’s biggest challenge: the turkey. Though your luxury apartment may be spacious enough to accommodate your guests, that does not necessarily mean that you have enough seats to put them in! You can get creative with additional seating options, using armchairs, camping chairs, and even step stools if you have them handy! If you’re already going to be rearranging furniture to make more space for people to mingle, then you might as well recruit some of the living room seating for the dining room, just for the day! At the end of the day, you will be left with happy guests, a full stomach, and some serious cleaning up to do. One of the easiest ways to cut down on this task? Send every guest away with leftovers! You can either divvy up portions of all the food so that each guests gets a second “meal” to eat for lunch the next day, or send individual items home with different guests. The less food you have to worry about storing, the easier it will be to get to the “fun” stuff, like the dishes. This entry was posted on Thursday, November 20th, 2014	at 9:09 pm	. Both comments and pings are currently closed.